Did you know, according to the U.S. Department of Labor, there were 4,609 workplace deaths in 2011? That equals almost 90 deaths per week. The fact is that many jobs, whether they involve flipping burgers or mopping floors, may represent serious risks to your health. The U.S. Bureau of Labor Statistics states workplace injuries account for over 20% of all days missed among many important U.S. job types, including nursing aides, janitors, and laborers. If you have been injured on the job, you may want to consider filing for Social Security disability. What is Social Security Disability? How do I Apply in Phoenix, AZ? The Law Offices of Andrew J. Muirhead is a leading Arizona law firm dedicated to the representation of clients involving all aspects of Social Security Disability Law. 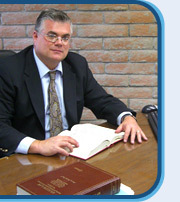 We handle cases throughout the greater Phoenix Metropolitan Area, Kingman, Yuma, and all of Arizona.